Member of the B & B Oilfield team (from left to right): Safety director Erin Banks, president Hal Banks, office manager Devan Pearson, Michigan sales and rental manager Dustin Pearson, Pennsylvania sales and rental manager Adam Brickner, service technician and truck driver Howard Mogg and trucking supervisor Steve Beckwith. Fred, B & B’s official mascot, looks on. MT. PLEASANT, Mich. — What began 35 years ago as a small, family-owned and operated wellhead business in Mt. Pleasant, Mich. has thrived in the ensuing decades, expanding in both products and services offered while extending its reach outside Michigan — all while remaining a family business, run by the same, albeit larger, family. Northern Michigan Operations Vice President John Prescott (left) and Regional General Manager Kreg Wyskochil are shown in the dispatch office at Taplin’s facility in Kalkaska. KALAMAZOO, Mich. — The establishment in late 2016 by Steve Taplin, founder of Kalamazoo-based environmental remediation company Terra Contracting, of a group of new environmental service firms, that include Taplin Group and Taplin Holdings, is just the latest chapter in an evolving story of diversification into new markets utilizing common equipment and common personnel that began more than six decades ago when Taplin’s father, Al Taplin, bought a business called A & B Sewer Cleaning for $800. According to a news release issued late last year by Taplin Group, LLC, the “new” Taplin companies grew out of a rich ­history in the environmental services industry, bringing with them expertise and a reputation as an industry leader, offering a broad range of environmental services that include energy services, industrial cleaning, underground ­infrastructure, asbestos abatement, ­specialty remediation and civil construction. MEMBERS OF THE TREND SERVICES “FAMILY” pose for a photo at the company’s headquarters in Kalkaska, Mich. Mike Babcock (third from left) has worked for Trend Services or its predecessor companies for more than 40 years and has owned the company since 1994. His daughter, Jill Ponstein (second from left), has been with the company for 12 years. Son-in-law Mike Ponstein (left) has been with Trend for 8 years and Charles Witt has worked for Trend for 29 years. KALKASKA, Mich. — Lifelong Kalkaska, Mich. resident and Trend Services president and owner Mike Babcock has witnessed a lot of change in the more than four decades since oilfield service company Hamilton Enterprises of Odessa, Texas opened up shop at 311 Maple St. in Kalkaska, the location his company ­continues to operate from. Perhaps best known as the home of the National Trout Festival — which has taken place annually in Kalkaska since the 1930s — the village of Kalkaska and Kalkaska County were forever changed by the discovery of significant reserves of oil and gas in Michigan’s northern Niagaran Reef Trend in the early 1970s. McCONNELL & SCULLY’s Ron McConnell Jr. (left) and Ron McConnell Sr. pose proudly with their AESC 2016 safety award. Two Michigan-based companies were among 26 well servicing contractors nationwide to be presented with safety awards for 2016 at the annual winter meeting of the Association of Energy Service Contractors (AESC) in Oklahoma City. LUDINGTON, Mich. — Western Land Services, which had its roots in a small independent oil company formed in 1974 in this west Michigan community by legendary Michigan landman T.T. “Tommy” Thompson, has evolved and grown over the past four decades to become one of the leading full-service land brokerage firms in the domestic oil and gas industry. The most recent transition in a journey which saw current CEO John Wilson purchase the company — which was ­renamed from Western States Oil Co., Inc. to Western Land Services, Inc. — in 1992 and begin to shift its focus from more traditional land services to all aspects of oil and gas resource development, was the Jan. 1, 2017 announcement that 49 percent of the company’s stock had been sold to its employees, through an Employee Stock Ownership Plan, or ESOP. Western Land Services president Rich Collins talks about the company’s evolution from a small, traditional leasing company to one of the leading full-service brokerage firms in the nation recently at the company’s headquarters in Ludington. 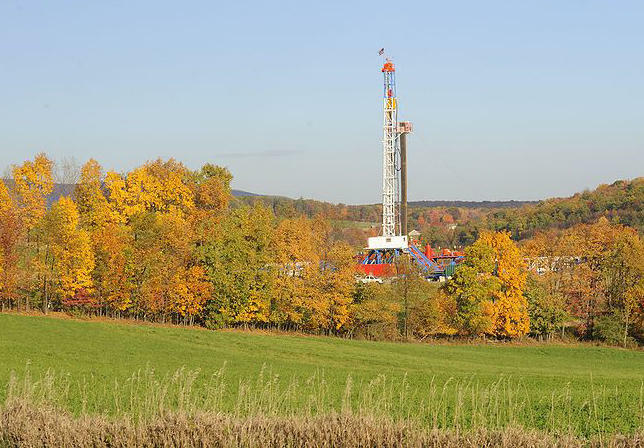 Michigan Oil and Gas Association member Phil Koro with Riverside Energy Michigan spoke with Michigan Radio on the topic of the current state of drilling in Michigan, providing some background on the issue.